Impressive And Fine Antique Carved Giltwood Convex Mirror. Having An Ebonized Carved Mahogany, Wing-Spread Eagle On A Plinth, Above Foliate Carved Cartouche Above A Molded Carved Circular Frame, Decorated With Rope, Beads, Leaf-Tip And Sphere's. 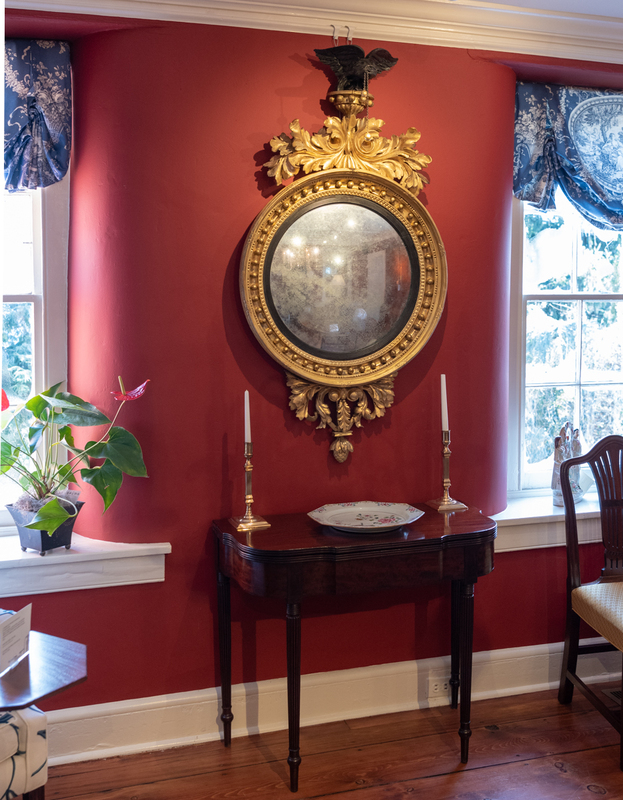 The Reeded Ebonized Liner, Enclosing, What Appears To Be The Original Mirror Plate, Ending In A Scrolling Leaf And Artichoke Pendant. American Or English, Circa 1815-1820, H. 55" W. 29"